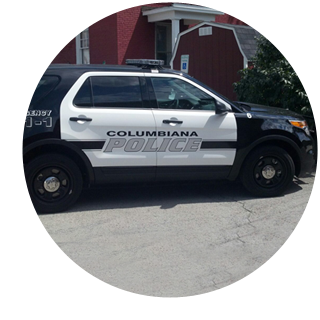 Columbiana Police, Fire and EMS services are dispatched through the Police Department. In the event of an emergency anyone calling from with in the City may dial 911 to reach the dispatcher or for non-emergency calls. For those calling from outside of Columbiana County you may dial 330-482-9292. Columbiana City Council meets on the first and third Tuesday of each month at 7:00 PM in Council Chambers at City Hall. The Park and Cemetery Board meets on the fourth Monday of each month at 7:30 PM in Council Chambers at City Hall. The Board of Zoning Appeals meets on the second Thursday of each month at 7:30 PM. The Board only meets when a hearing has been scheduled and 15 days notice has been given.